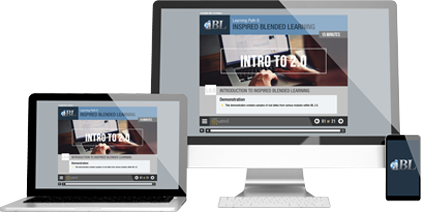 Our inspired Blended Learning (iBL®) programs empower participants to take control of their learning experience. Learning techniques like instructor-led classes, eLearning modules, real-world case studies and interactive scenarios, and skills application activities within your facility or industrial environment combine with application projects identified by each student and their sponsor to create a training experience like no other. The result is a documented return on training dollars directly to your bottom line. iBL® is designed with the end in mind…maximizing the value for our clients. Let us show you an example of some of our iBL content. We all know it is hard to find well-trained Maintenance and Reliability Engineers, so let us help you develop your own from within. With this program students graduate with a solid understanding of maintenance and reliability engineering and will implement each of the core competencies within your facility. This drives understanding, application and an incredible Return on Investment of 30:1 on average. Maintenance Management in many sites is learned as you are promoted through the ranks and that can mean that the manager ends up with a very limited understanding of all of the facets of reliability and maintenance as defined by the Society of Maintenance and Reliability Professionals (SMRP) Body of Knowledge. If you want to see a step change in performance then enroll your Manager in this program where they will learn Root Cause Problem Solving, Preventive Maintenance Optimization, the fundamentals of Planning and Scheduling as well as other core competencies used to drive down maintenance cost and increase operational uptime. This program enables your facility to implement the primary tenets of reliability improvement in a methodical way that has been proven in the industry since 2012. It is based on the University of Tennessee Reliability and Maintainability Center’s (UT-RMC) Pathway to Reliability and Maintenance Competitive Excellence model. As the student progresses through the program they will work with their coach to implement key enablers like Reliability Centered Maintenance, Root Cause Problem Solving, Planning and Scheduling, Reliability Modeling, and other core competencies that create internal consultants within your organization. The value of creating these internal experts is equivalent to 1.5% to 3% of the installed asset value. Most of your planners are not really planning. They’re merely administering work orders with no value or impact to labor utilization or maintenance costs. Whether they are caught in the day-to-day reactive firefight or simply pushing Preventive Maintenance tasks through the system, this curriculum and our world class coaches will get them on the right track. They will learn how to build a Job Plan Library, optimize the existing Preventive Maintenance task, and build a meaningful Maintenance Schedule that can be executed by the organization with maximum efficiency and effectiveness. If you need more wrench time and less downtime then this IBL® program will change your organization. Defect-free assets, optimized total cost of ownership, an engaged and enabled workforce, and accurately populated Enterprise Asset Management systems (EAM) – this is what our clients realize when they choose to integrate Eruditio’s aggressive iBL® program with pre-startup and commissioning efforts, and Strategic Asset Management Plans (SAMP). Similar to, and designed after, the Six Sigma DMAIC process, iBL® is universally applicable as a problem solving and professional development methodology. As with the DMAIC process, iBL® can be applied horizontally to any tactical deployment effort, such as Maintenance Cost Reduction, or vertically as a means of employee training and qualification. However, iBL® extends beyond the capabilities of DMAIC in execution and sustainability. The iBL® model creates a framework for multitier deployments to ensure sufficient leadership alignment, employee engagement and project management in support of each work stream. APPROACH Our three-step, customizable, interactive blended learning approach ensures high knowledge transfer and skill development. Options Choose from five iBL® programs: Maintenance and Reliability Engineering; Maintenance Management; Reliability Implementation; Asset Management Implementation; and Planning and Scheduling. Experience Our leadership team designed, marketed, and implemented the first blended learning program within the maintenance and reliability engineering community. Tools Our Learning Management System enables real-time tracking and measurement solutions and 24/7/365 availability that fits any learner’s schedule. Results Our corporate clients consistently see a 95% graduation rate, much higher than the best college programs. The iBL® program also offers an immediate return on investment. To date, iBL® programs have identified more than $15 million in contribution margin gains. Certification Four of our programs award participants with the coveted University of Tennessee Reliability & Maintainability Implementation Certification (RMIC®) credential. We believe in the power of blended learning methods. We are not constrained by PowerPoint presentations or lengthy lectures that require learners to remain in front of a computer screen for hours on end. With decades of business management consulting experience, we know the challenges associated with developing and administering corporate-wide competency development programs and how to ensure training has a positive bottom-line impact to your business. Our design process involves three repeatable steps to deliver consistent knowledge transfer and skill development. Through instructor-led training, eLearning, webinars, mobile learning, and augmented reality, students receive instruction that facilitates an ability to recall terms and definitions and answer basic knowledge questions. White papers, online resources, videos, and real-world examples are available for most courses in order to scale the level of instruction based on prior knowledge. Practical, programmed learning activities immerse learners in new experiences and allow them to practice new skills. Activities are administered and graded by our Coaches and might include decision-making scenarios, practical application requirements (PAR), and on-the-job training (OJT) assignments. To complete their program, learners reapply demonstrated skills in the form of a continuous improvement project. Projects are designed to reinforce the lessons learned and provide an immediate return on the business’ training investment. Peer-to-peer project review encourages new ideas, theories and synergies. Learn more about our iBL Journey by clicking on each milestone below. The Eruditio, LLC Leadership Team designed, marketed and administered the first blended learning program within the maintenance and reliability engineering community, entitled and service marked as “inspired Blended Learning” (iBL®). Funded by Kraft Foods as a strategic enabler for their Lean Six Sigma continuous improvement efforts, we began development of instructor-led and eLearning curriculum in 2011. Nine months later, in June of 2012, Kraft Foods enrolled 16 engineering students, each with a learning project targeting a minimum of $250,000 in contribution margin gains. By October 2012, Kraft Foods enrolled another 16 students, including one Plant Manager and three Production Managers who saw value in the learning process above and beyond engineering disciplines. By January 2014, less than two years after launching iBL®, our team was delivering core skills training to more than 100 students within four Fortune 500 companies. Welcome to the new age of education! Contact us today. Click here to try our demo or our brochure.